Shipping of goods to Tajikistan by sea / ocean freight can now be effectively and conveniently managed through Burhani Oasis Shipping, one of the fast growing freight forwarding companies in the UAE. 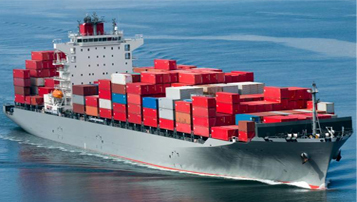 At Burhani Shipping, we offer cost-effective and flexible ocean freight shipping services for commercial as well as personal goods from / via Dubai to Tajikistan. Whether you want to ship a parcel, documents or boxes of items to Tajikistan, our team at Burhani Oasis Shipping are well qualified to ensure that your shipment reaches its final destination without damage. All aspects of the shipping process are managed, supervised, planned and coordinated efficiently from point of origin till the shipment reaches its final destination. We offer two types of shipping options to Tajikistan – Full Container Loads (FCL) and Less Than Container Load (LCL). The cost of shipping freight from Dubai to Tajikistan will vary depending on the size and weight and the services required. If you are looking for a shipping company in Dubai that is quality-driven, reliable, affordable and efficient, then Burhani Oasis Shipping is the right choice for you. With a dedicated team of knowledgeable staff at hand to meet all your shipping requirements, you can be sure that your shipment will reach Tajikistan at the specified date safely and without any hassles to you. 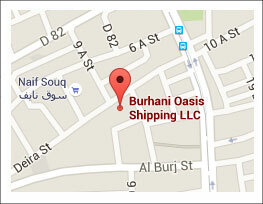 Contact us today at Burhani Oasis Shipping for shipping your goods to Tajikistan from Dubai. You can also request for a free quote.